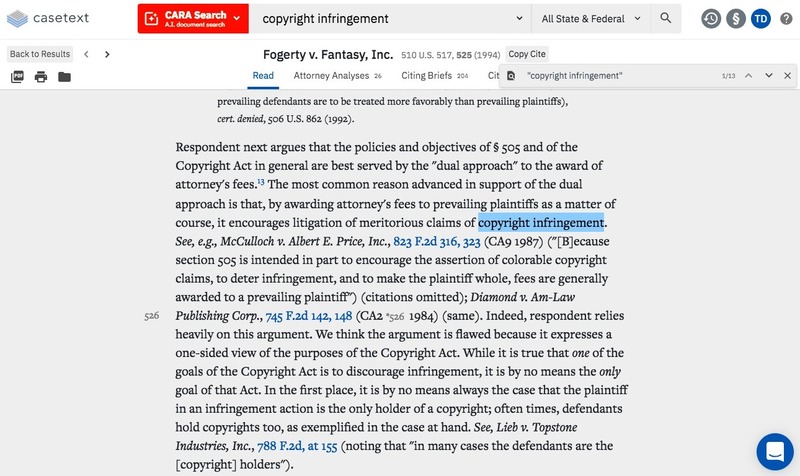 How do I search for terms within a case? 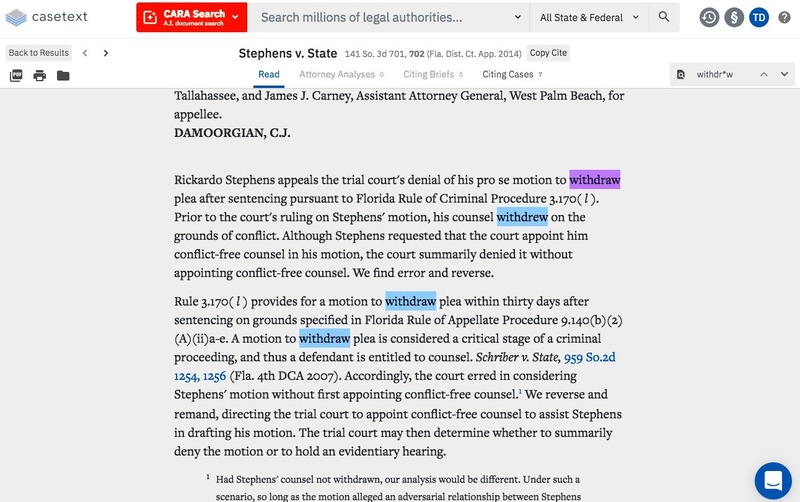 How to locate specific words or phrases on a case page. 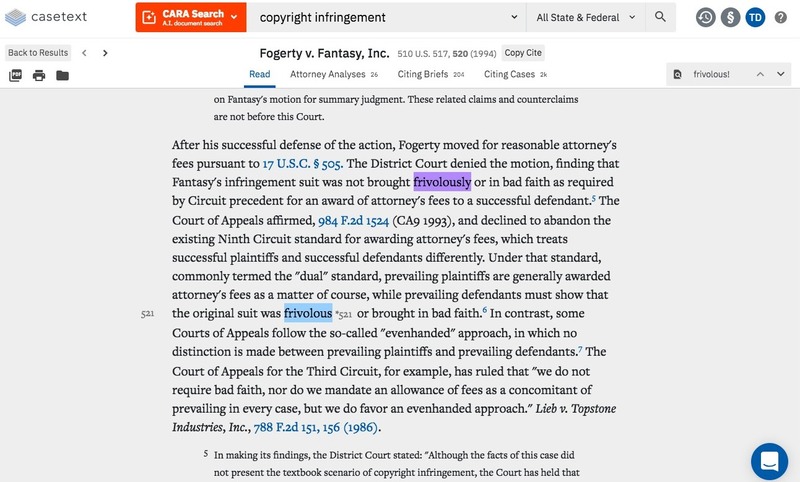 If you are visiting a case page from search results, the box will automatically populate with the text of your keyword search. NOTE: The search box will initially be shortened; to expand it, click within the box. To update the term(s) you wish to search for, simply update the text in the search within box on the case page, and hit Enter/Return on your keyboard to search for the new term(s). 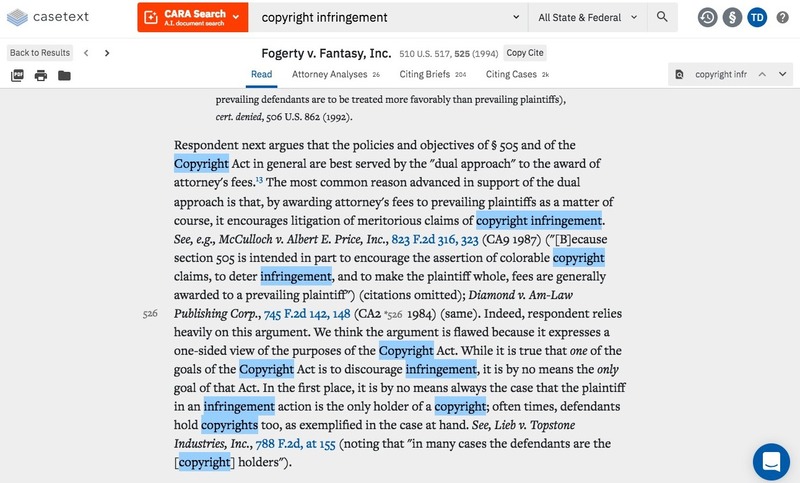 Within the text of the case, the words that match your query will be highlighted in blue. As you use the arrows to navigate to the next term, the current term you are viewing will be highlighted in purple.